LOOKING FOR: Someone well rounded with good conversational skills. Must not be brighter than I am, but can’t be too dull. Preferably someone with good taste in food. PERSONAL PHILOSOPHY: There is no such thing as natural beauty. Progress not perfection is the key. PET PEEVE: Lip smacking and smoking. WORST FEAR: Being placed on a shelf where I am out of sight. WHAT DOES YOUR IDEAL DATE LOOK LIKE? A fancy dinner out on the town followed by a play and then dancing. ASPIRATIONS: To be the brightest and most radiant that I can be. A string is not angular. There are no sharp turns gutted ahead. The jagged realization that change might happen abruptly is not an instance worth acknowledging. It never happens. Instead a string bends and curves to the imagination. It waltzes from a guitar or a violin with a sound so precise that it doesn’t matter if it’s out of tune. A missed note is par for the course and when you find yourself scaling a wall for the comfort of definition – there is none. Only the faint confidence that things keep going. 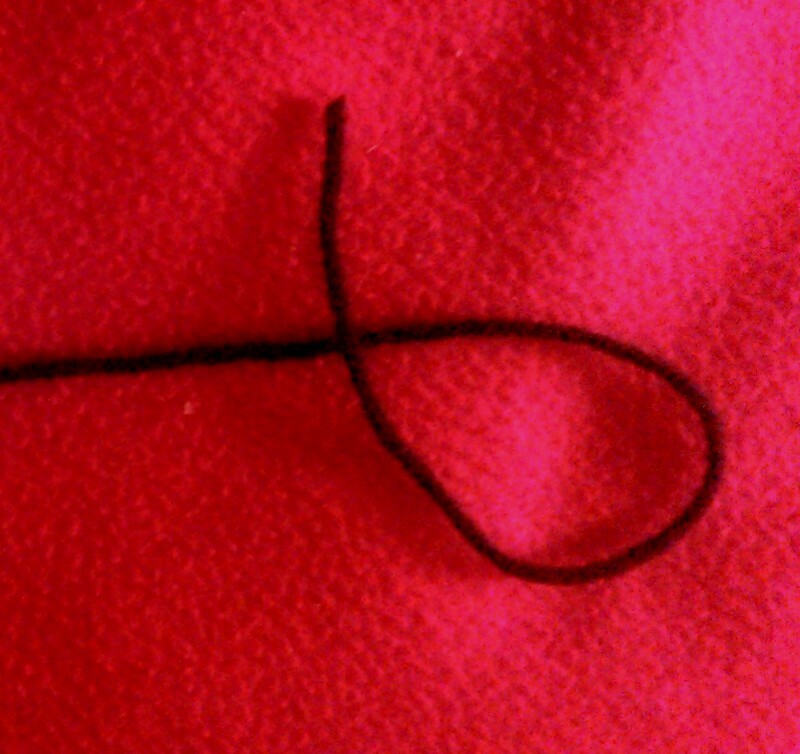 When a string ends, it does not start back up again, shifting to a different position. It is done with, cut dry, with little frays of possibility crisping at the edges. The nail clippers were born from an unlikely pair. His mother was a silver earring and his father was a stapler. The stapler was a bulky mass of danger just waiting to spit metal at the first person who denied him while his mother was a delicate sliver of silver sculpture that hung gracefully off a rich earlobe. From the very beginning the nail clippers felt different. He was just handsome enough to get into the bathroom mirror cabinet, but just bulky enough to sit on the edge of the shelf. He watched as all the out of reach pieces of jewelry would scoot away from him nervously. They took one look at his piercing mouth and scattered. “You’re too old to be of any value anymore anyway,” the nail clippers snapped against an antique ring’s very core. Her diamond shuttered from his words. “You don’t know what you’re talking about!” She shouted back, but her words were lost in a swirl of panic. The nail clippers could do that to anyone. In his late years he had begun to grow sharper with time and pretty soon he would be as slick as the razor that sat on edge. The nail clippers would never be too old to be of any value. Once a week, the woman of the house would hold him up to her scraggly, but finely polished finger nails for him to work on. It was the one time when his bite was truly founded. 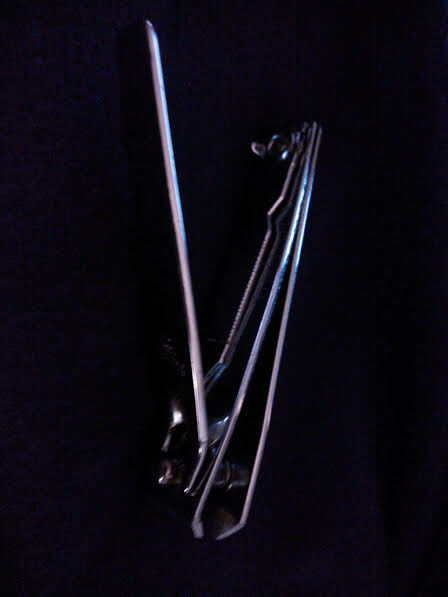 With a brutal kiss, the nail clippers held onto the polished nail, feeling its elegance before completely disregarding it. He was never much for hanging on to what wasn’t useful. He pauses. His tongue is slightly out of his mouth while he taps against me for the millionth time. I wonder when he will talk again and connect with me on a different level, but it never seems to happen. I know it’s me that’s changed, but I can’t take the entire blame. The touch screen was supposed to be a great idea. Sticky fingers press against my body, I can feel their smear stains skidding across. Conversations are captured for life, but words are lost and the tone makes me squirm with boredom. It’s the future, it’s what people want, it’s everything I have, but everything I’m not. He glides his hands forward and I wish he wouldn’t use me, but what can I say? The connection is lost. 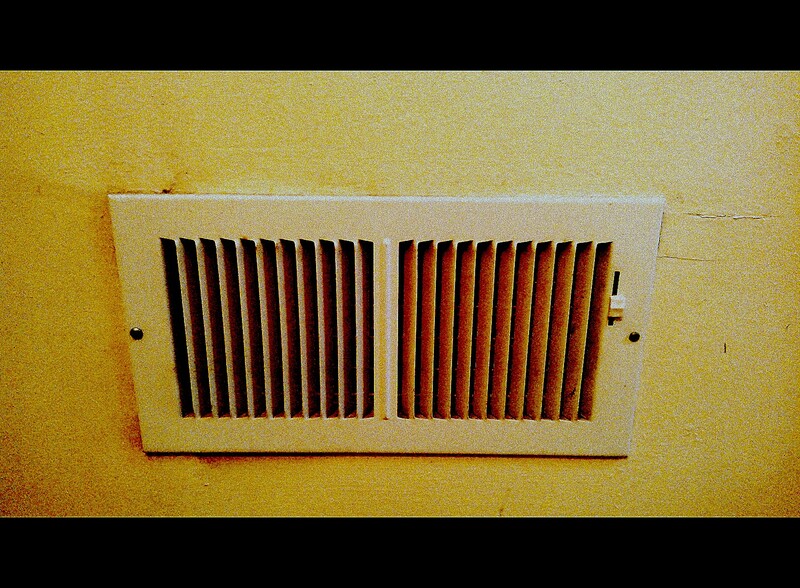 The vents were plastered against the wall with a panic that had shot them into place for the entirety of their being. They had no other option. Destiny was a gray word with iron slats that slipped through the corners of their imagination. So dark and shady was it, that they dared never to dream. Instead they stayed pinned up against dry wall, gazing inwardly at the dust that had collected over the years. Little specs of gray bunnies nestled around the mouth of the vent. The dust had run into the barred, metal teeth because it seemed quiet, as if the scream had dried out long ago. The warmth of its throat was inviting and in the winter it was like a camp fire. Rather than tell them to go, the vents seemed to like their company. In the evenings I can hear it purring, the rumble – awaiting full volume. 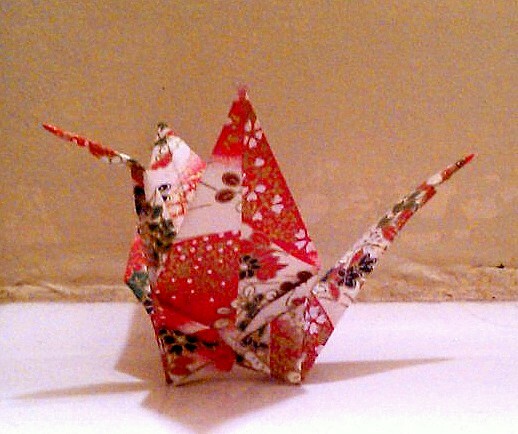 There once was a bird who lived inside a paper house. The walls were so thin that he could hear everything from the other side. Afraid to make a sound, he sat by himself, stiff in an arm chair. On the days that he would fly out of his window and into the deep blue sky, he could not be there fully. Instead his mind was trapped inside the origami house, wondering what his neighbors were doing. He wondered if they would be fighting about who would do the dishes. He wondered if he could smell their worm casserole through the walls. He wondered if he could hear them laughing and talking with friends late at night. So consumed was he by these neighbors that he forgot where he was going. He forgot about the sky and its magical feeling of infinity. He forgot about his hunger for worms and mice. Instead, he stayed inside and listened to the lives around him. His neighbors had children together and raised them to be strong. They had birthdays and wedding celebrations and dinners with guests. His neighbors would sometimes listen to loud music or they would shriek over the phone. There never seemed to be an end to their stories of excitement. One day, when the neighbors were unusually quiet, the bird got an itch to find an adventure of his own. When he got up to go to the window, he felt a sharpness in his side. He tried to lift a wing, but he could no longer remember how to fly. His body had been sitting in the arm chair for so long that his body had become stiff. When he tried to move he realized that his wings had turned to paper. Angular in their perfection, the squares are cut in half forming perfectly pointed slices that dig into the golden colors of fabric. 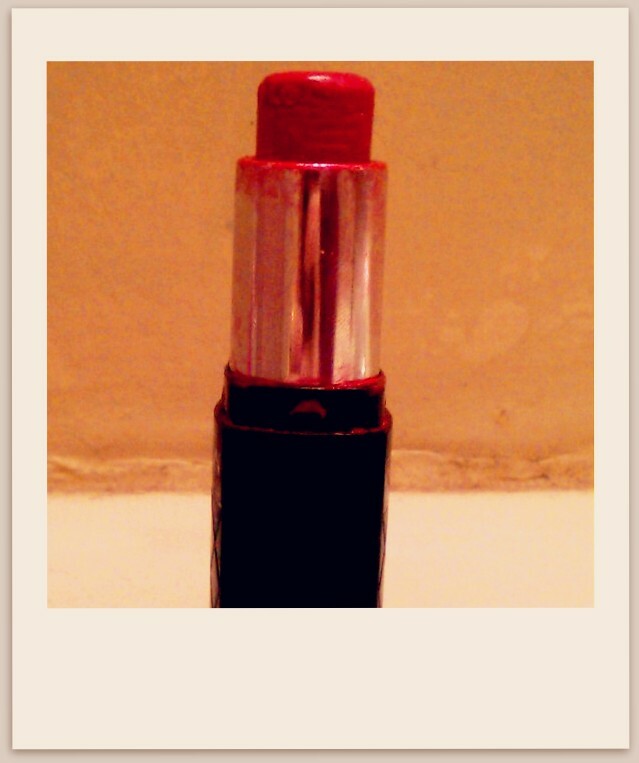 They force their scarlet bossiness against the cool bluish tint of a chlorine blush. The blue doesn’t have a chance. It slides by, preferring to stick around the edges in a muted fashion too quiet for the rest of the puzzle to interfere with. Little dots and droplets of lighter blue swim inside the pattern, as if pushing it forward. Only the darkest blue can drown itself deep into the center. With it’s darker quality, even its bubbly personality seems out of place and can only be seen by squinting past the wholeness it creates around the sun. 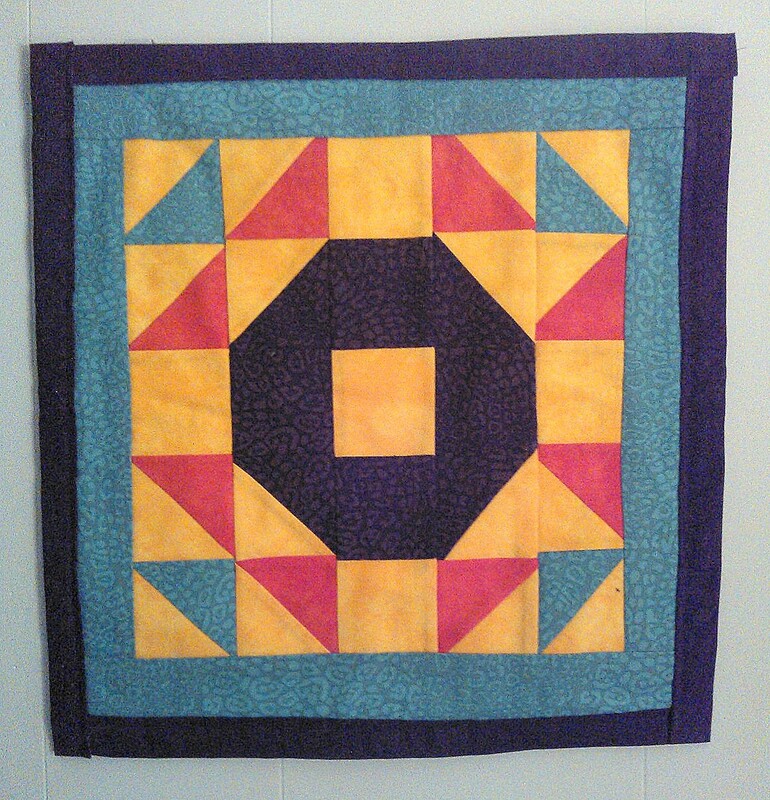 It’s the sun squares that make it cheery. Without its brightness, the ridges become too jagged. The scent of old copper rinsed from a boiling pot steams heavy. I can smell the stale cheapness in and out of my jackets, jeans and hair. Like smoke tangled in hair spray there is a stickiness that feels trivial traveling with me. Every thought is a penny and means next to nothing. Why did I paint them red? Why aren’t there more colors? Only they aren’t nothing. They’re light in size and over-cooked by vision. Brownish orange cents line my purse until there are pounds worth of thought. There are too many to count. Pennies with purse lint. 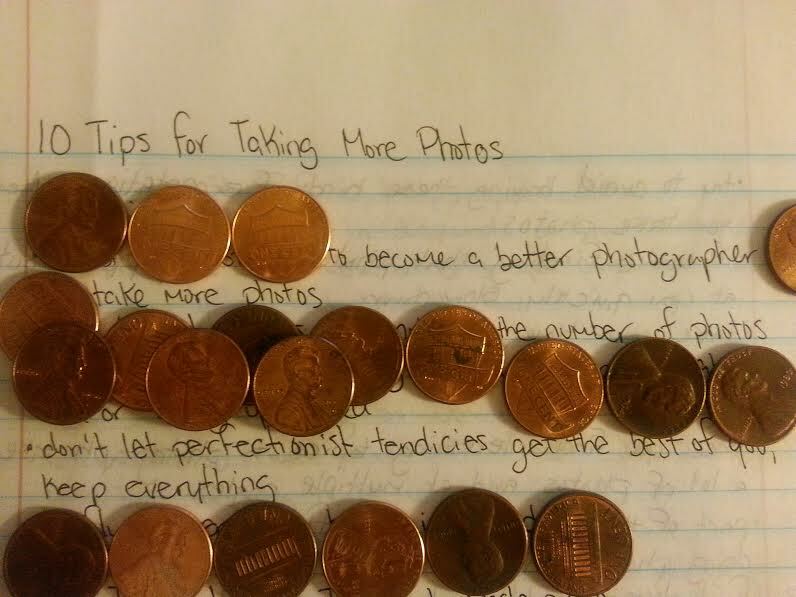 Pennies with gum. Pennies stuck to receipts of places I can’t remember. I threw them into the pot of boiling water until I heard them hiss with a sparkling cleanliness. The warm metallic thoughts now stick to the bottom turning to a gold-like substance. Like butter they were almost edible, but eating a vision isn’t like swallowing money. There is no richness in old thoughts, just a rusty flavor that feels more expensive than I remember. The blinds were off white, much like the children who played on the stoop. With a sturdy shade, they were only slightly dark around the edges. “This is going to be the best day ever,” the blinds said when they were still new and hopeful. They opened themselves up to the world, exposing their innocence in a translucent bundle of joy. 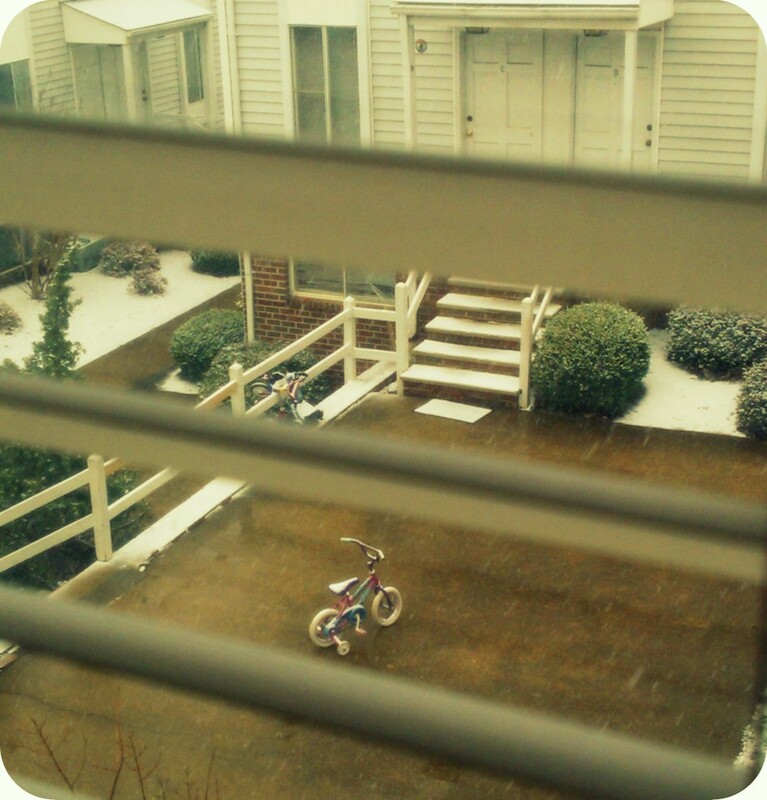 They looked out over the courtyard at all the kids running around and smiled, opening their mouths wide. Children of all different races played on the picnic table. A quiet boy who didn’t speak much English would sit out on the stoop and stare up at the blinds, looking through the window in hopes of glimpsing the pretty woman who lived upstairs. The window shared his outlook. The kids would play outside until the evening turned dark, drawing pictures of the sun and flowers with yellow and pink pieces of chalk along the sidewalk. They played hide and go seek in the abandoned lot and hid in the thorny bushes until when they finally emerged, there were little scratches tattooed all over their arms and legs. They didn’t care, it was fun. When the days stretched on, they would walk up to the laundromat and ask customers for quarters so that they could eat one of the burritos that came out of the Mexican dining cart. When the seven o clock shadows came, so did the broad rusted cars with thumping bass that blared from rolled down windows. Their mothers would appear out on the stoop wearing cool colorful rags over their hair and yell things like “If you don’t get in the damn house Right This Second, I’m gonna come out there myself!” Then within a moments flash, their giggles could be seen trailing the street corners and into the rows of brightly painted apartment buildings. In a matter of hours the music from heavy, metal, cars would take over. The blinds watched the children every day from inside the upstairs apartment. When a summer breeze slid through the window the blinds would hit against the sill, knocking gently against glass. “Be careful,” they would say, their voices lost in the wind. It was years later when the kids had grown up and you could see them no longer playing, but standing on the corner, that the blinds started to tinge. The crisp clean clarity of their sturdy straight lines started to bend and lie crooked as they rested. The children were no longer chubby and baby faced, but gangly teenagers with low cut shirts or baggy jeans. The girls swayed their hips and waddled past each others stoop, trying to make any head turn that would. The boys stood on the corner late into the night, their parents were gone – nowhere in sight. “You looking?” The quiet boy who didn’t speak much English had perfected this phrase to passing strangers in large hoodies. After a few hours, it was the only voice that could still be heard.